Your typical Norman helm might have been quite protective, but there was way to improve upon its protections. The Norman Helmet with Aventail is a classic Norman helmet at its finest, with the added defenses of a mail aventail thrown in for good measure. The Norman helmet is typically quite similar to a spangenhelm or a nasal helm (depending on the era), and this one is no different, featuring a simple form that provides great protection to the head, while also featuring a ridged nasal guard for that added bit of protection to the face. 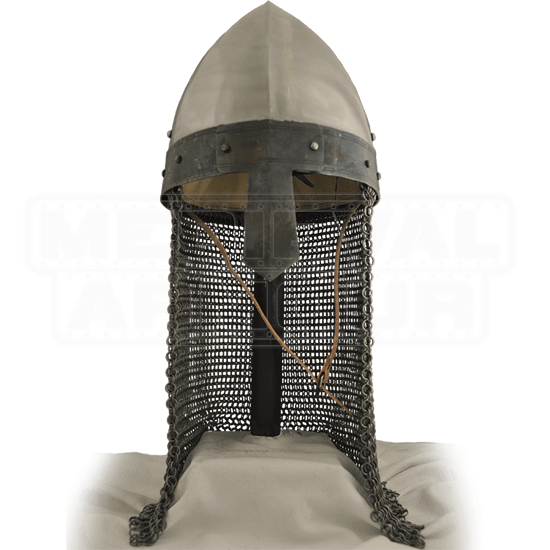 Integrated with the helm is an aventail that is crafted from butted steel mail, providing the extra bit of protection that some mail along the back and sides of the helmet might provide. The helmets body is constructed from 16 gauge steel, which makes it quite durable and protective, while also giving it a realistic weight, too. The interior of the helmet is fitted with a leather suspension lining, as well as a chin strap that works wonders for keeping the helmet secure on your head. Are you looking for a helmet that will provide you with solid protection for minimal weight? 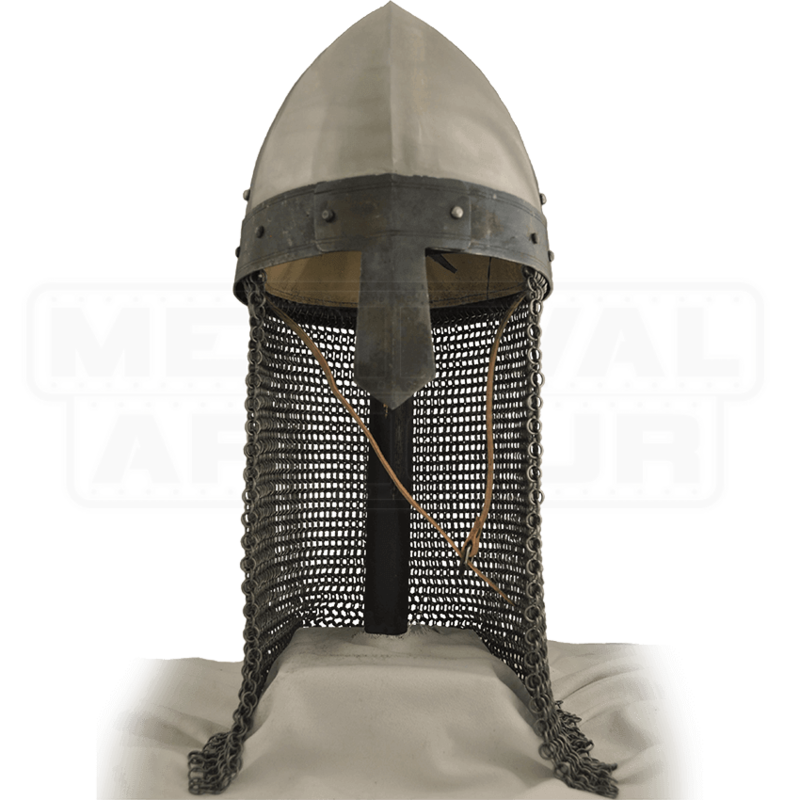 Pick up this Norman Helmet with Aventail, and you will get the protection you desire without having to sacrifice mobility or visibility, and those are two things that any warrior should be glad to have.